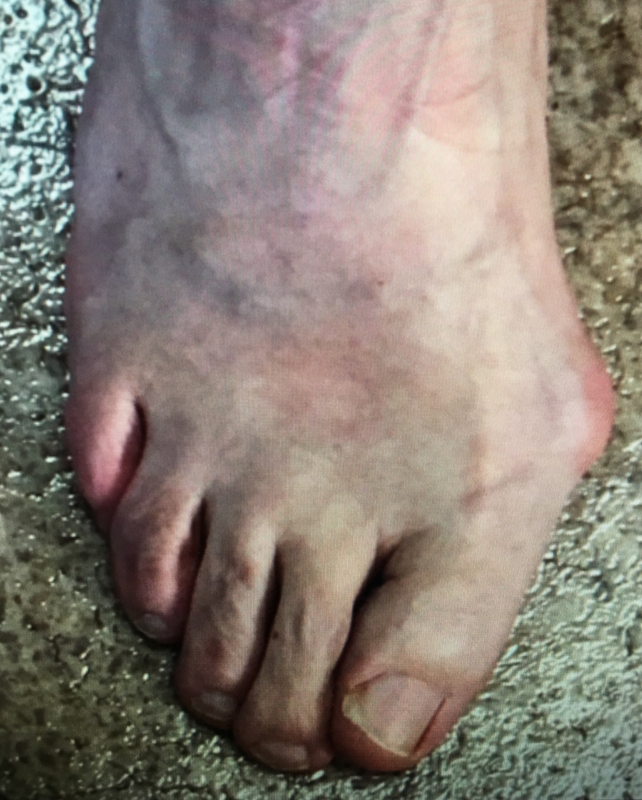 Before and after photos of bunion correction. The incision is about 1/2" long and is on the inner side of the foot. Before and 3.5 months after surgery. Each hammertoe is fixed without pins or implants, and each incision is 2-3 mm long and closed with a single stitch. We can get rid of these corns permanently using a one-stitch, in-office procedure where we smooth down the bone at the tip of the toe. Similar simple procedures can be performed to resolve corns and calluses in other areas. BEFORE. Notice the corn on the tip of the 3rd toe..
AFTER. The tip of the 3rd toe is smooth and pain-free. This video shows our older one-stitch approach. I now use a smaller incision, about 2mm long, and no stitch is needed. 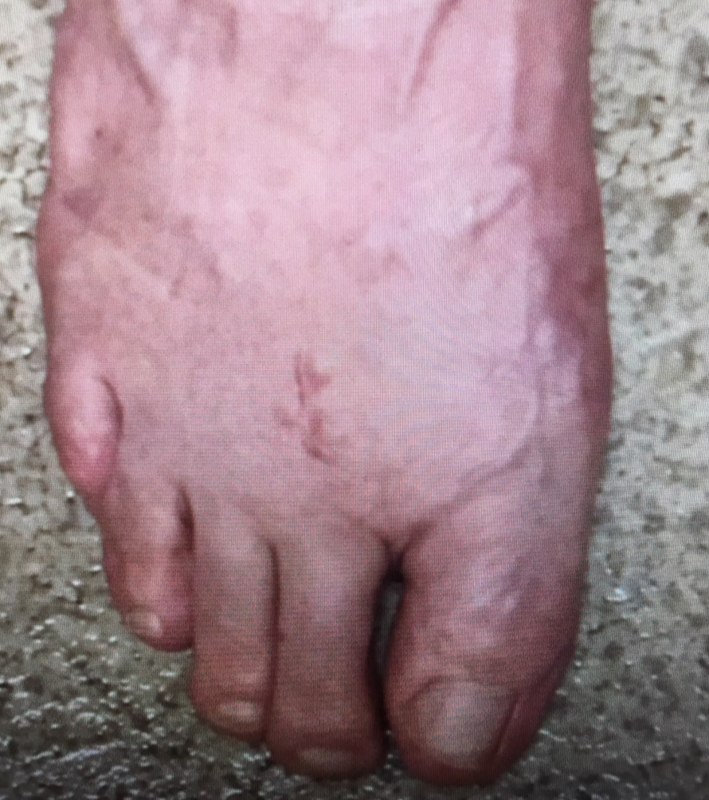 Hallux varus is misalignment of the big toe as shown below. 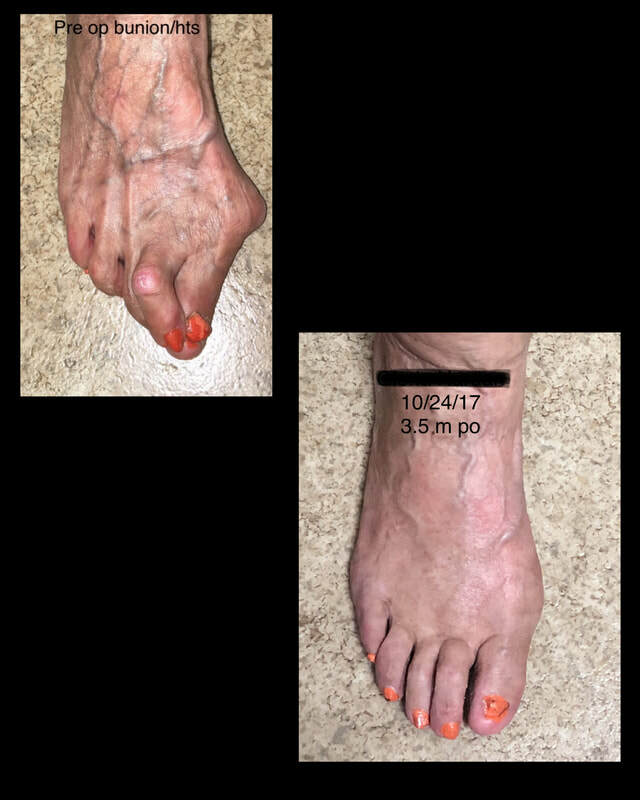 In this case, the hallux varus was a complication of a bunion surgery > 20 years prior. Previously, I would have fixed this by fusing the big toe joint straight and placing screws across it. Now using minimally invasive techniques I corrected this in the office with two small incisions.